Apparently, it's in my blood. I learned this after my father died, and then his only sister, who left me with a couple of Wilt Luggage steamer trunks. Of course, I knew about my great grand-uncle Charles and his storefront company on Michigan Avenue in Chicago, and the luggage that was featured in several movies including "Some Like It Hot" with Marilyn Monroe. 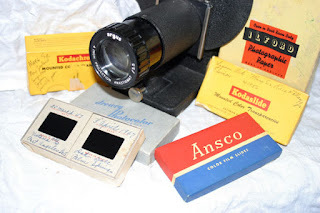 But when I opened up these trunks, I discovered that everything I was passionate about - travel, photography, and writing - was nothing new in my family genes. My grandmother, whom I never met, had traveled the world by steamship in the 1930’s, 1940’s and 1950’s, leaving behind steamer trunks full of travel diaries and boxes upon boxes of carefully labeled slides, detailing every port of call and every city, town, and restaurant visited during her decades of travels. 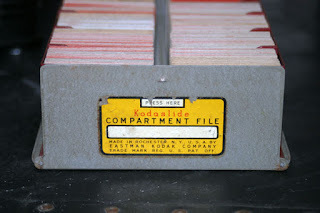 My father too, left behind his fair share of slides, which documented his roadtrip from Chicago to Laguna Beach along Route 66 in the 1950’s, among other adventures. With the rains come nostalgia, and since it's been raining all week in San Diego, I've been hitting the boxes and scanning and archiving. It's an overwhelming task, but I'm grateful that my grandmother labeled everything, and kept journals. One of my long-term projects (a dream, really) is to publish a travel photography book with my own and inherited images of the same destinations captured 50 or more years apart. So far I have traced my grandmother’s footsteps through Egypt, India, China, central Mexico, and Europe; and my father’s travels through Colorado, New Mexico, Arizona, and California. And, two people I have to thank for my travel/photography genes, my Dad, and my Grandmother, overlooking Laguna Beach, circa 1955. Read more about Kymri Wilt and the passion behind Mira Terra Images. Many thanks to Delicious Baby for the excuse, and opportunity, to share travel photography! Very interesting Kymri. I love the retro look! Love these photos. I'd love to see your "Then & Now" collection--you definitely should make it into a book! These are great images. I wish someone in my own family would have been so interested in recording their travels and lives. Your book idea sounds like a grand idea.